Has Apple won the wearables game with Apple Watch? As per a new report by Canalys it categorically has, beating every other rival last year. The market research and analysis company says that the Cupertino-based tech giant managed to ship 18 million Apple Watches in 2017, beating industry estimates. The figures represent a 54 percent YoY increase in a market that continues to cater to a niche audience for the most part. The number is apparently a record not just for Apple, but any wearable vendor anywhere. On a quarterly basis, Apple Watch shipments are said to have grown 32 percent YoY during Q4, 2017, hitting 8 million units. 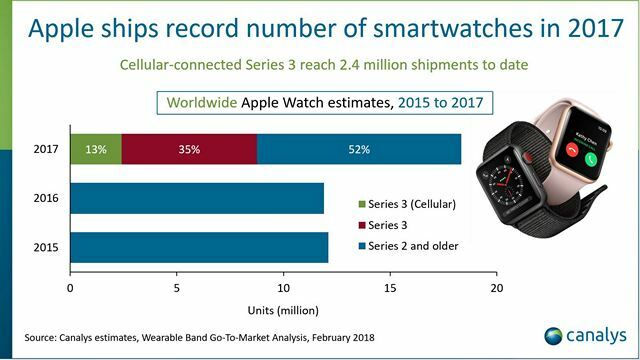 According to Vincent Thielke, Research Analyst at Canalys, “The cellular version of the Apple Watch was in strong demand in the US, Japan and Australia, where all major operators stocked it in time for the holiday season. 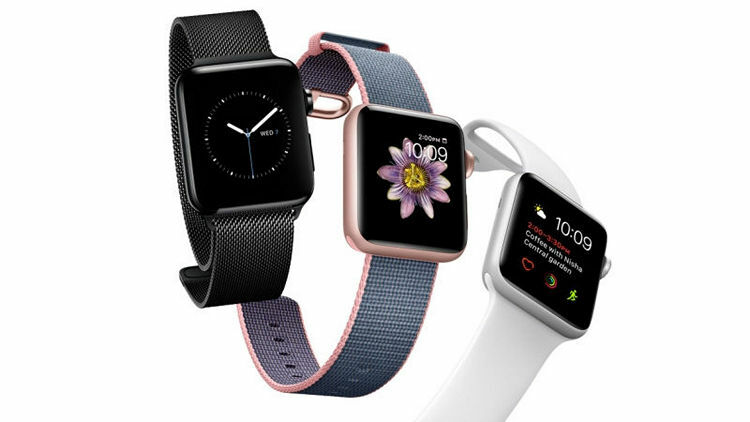 But limited operator selection in the UK, Germany and France influenced consumer purchase decisions, and stifled the growth potential of the connected Apple Watch. Moving into new markets, such as Singapore and Hong Kong in Q1 2018, just in time for Chinese New Year, is a good move”. No matter how hard they try, electronics vendors and tech companies are unable to convince mainstream consumers about the need for smart wearables even after all these years. Smartwatches and fitness bands, have, over the years, failed to capture the imagination of mainstream consumers the way smartphones did a decade ago. There’s no dearth of companies are launching their own products in the segment, but apart from a very select bunch of early adopters and gadget freaks, the devices have failed to enthuse the mainstream consumer-base, with most people preferring to stay away from them for the most part.